One of my focuses at VMworld 2018 in Barcelona was to look further into IoT technologies and their impact on business and IT infrastructure as well as getting a better understanding of both VMware Pulse and VMware Edge compute solutions. 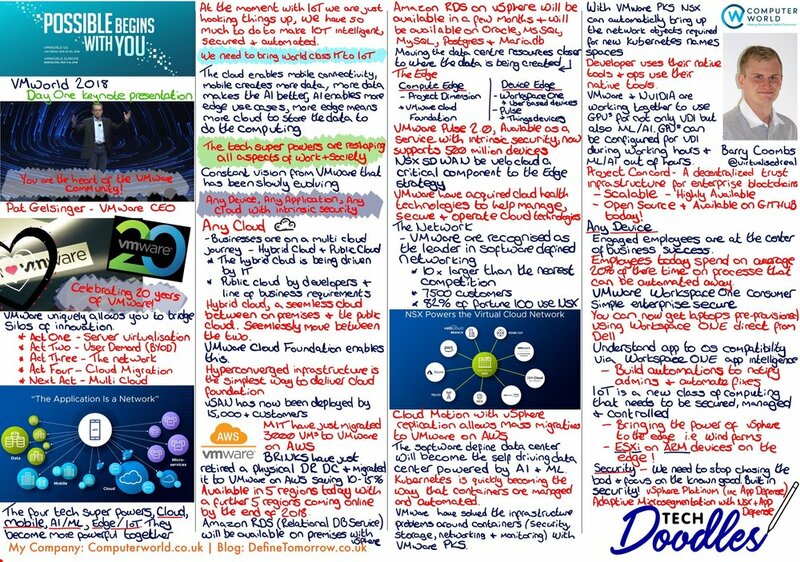 See my doodle below with some of my notes from the sessions I attended. I hosted an event with Dell and Ruckus regarding the future of your networking looking into wired and wireless use cases. One of the most interesting subjects for me was the conversation around IoT and the demand on your network and infrastructure. 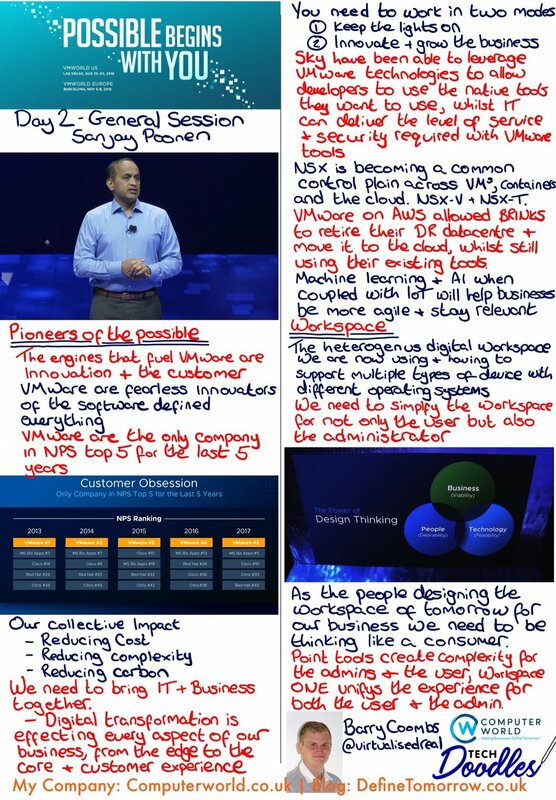 VMware CTO for EMEA Joe Baguley delivered the general session at VMware Empower in Vienna, he spoke about the need for change, VMware Cloud on AWS, edge computing, NSX, everything aaS and much more.